This cat flap is made of plastic and works silently. It has a flap with special seal and a magnetic lock. Free cat flap is weatherproof. It has the following functions: the cat can get in and out, the cat can only get in, the cat can only get out, the cat can neither get in nor get out. TRIXIE 4 Way Cat Flap XL 24x24 cm White 3867. This TRIXIE 4-way cat flap will give your pet a free pass to enter or leave the house even when the door is shut! 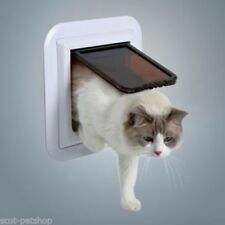 With a total size of 24 x 24 cm, this cat flap has a transparent flap and works silently. Tinted transparent flap, silent action. flap size 17.4 × 18.5 cm. Extra Large Glass fitting pet door for large cats and small dogs, for single gazed units. with safety lock. with special sealing and magnetic lock. Model: 39572. Studio: Trixie. FOOD & DRINK. Size: 32 × 45 cm. Colour: Clear Plastic. We promise to do everything possible to put things right for you. Orders will be fulfilled by our own warehouse or a 3rd party supplier at our discretion. 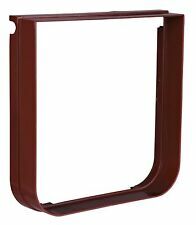 TRIXIE 4 Way Cat Flap 21x21 cm Brown 38643. This TRIXIE 4-way cat flap will give your pet a free pass to enter or leave the house even when the door is shut! 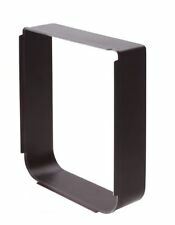 With a total size of 21 x 21 cm, this cat flap has a transparent flap and works silently. 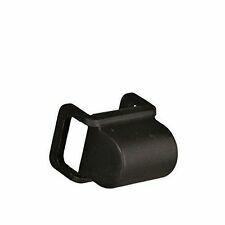 TRIXIE 4 Way Cat Flap for Glass Doors 27x27 cm White 38631. This TRIXIE 4-way cat flap will give your pet a free pass to enter or leave the house even when the door is shut! With a total size of 27 x 27 cm, this cat flap has a transparent flap and works silently. TRIXIE 2 Way Dog Flap Size XS-S 25x29 cm White 3877. This TRIXIE 2-way dog flap will give your pet a free pass to enter or leave the house even when the door is shut! This flexible and durable dog flap is a must-have for adventurous little dogs. TRIXIE 2 Way Dog Flap Size M-XL 39x45 cm White 3879. This TRIXIE 2-way dog flap will give your pet a free pass to enter or leave the house even when the door is shut! This flexible and durable dog flap is a must-have for adventurous dogs. TRIXIE 2 Way Dog Flap Size S-M 30x36 cm White 3878. This TRIXIE 2-way dog flap will give your pet a free pass to enter or leave the house even when the door is shut! This flexible and durable dog flap is a must-have for adventurous dogs. TRIXIE 4 Way Cat Flap 23x26.5 cm White 3850. This TRIXIE 4-way cat flap will give your pet a free pass to enter or leave the house even when the door is shut! The cat flap has a 4-way rotary knob, with which you can choose your desired setting. TRIXIE 4 Way Cat Flap Electromagnetic 21.1x24.4 cm White 3869. This TRIXIE 4-way cat flap with an electromagnetic lock will give your pet a free pass to enter or leave the house even when the door is shut, while denying access to intruders. Collar Magnet for Electromagnetic Freewheeling Door Cat Flap Cat Flap Magnet ---Collar magnet for cats ---Suitable for most electromagnetic cat flaps --- For attaching to the collar. 4-Way Cat Flap. •transparent flap, silent action. •flap size 14.7 × 15.8 cm. •with safety lock. •with special sealing and magnetic lock. They are usually especially useful for cats as most cat owners will allow their cat free access outside. Simply lock the door if you wish the cat or dog to stay inside and unlock it when they are allowed outside. Trixie 38641 4-Way Cat Flap with Tunnel White. It has the following functions: the cat can get in and out, the cat can only get in, the cat can only get out, the cat can neither get in nor get out. This cat flap is made of plastic and works silently. The cat flap has a 4-way rotary knob, with which you can choose your desired setting. This TRIXIE 4-way cat flap will give your pet a free pass to enter or leave the house even when the door is shut! 4 way Cat Flap. transparent flap, silent action. flap size 14.7 × 15.8 cm. with safety lock. with special sealing and magnetic lock. Channel Islands. Item will be release on clearance of funds. Isle of Man & Isle of Scilly. Trixie Pet 4 Way White Plastic Flexible Cat Door Flap XL as shown in pic. ESPECIALLY FOR SINGLE PANE GLASS DOORS.TRANSPARENT FLAP, SILENT ACTION, WITH SPECIALSEALING AND MAGNETIC LOCK. WITH SAFETY LOCK. Item model number: 38622. 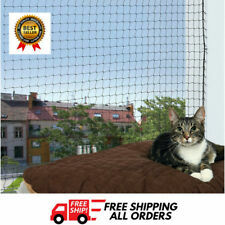 They are usually especially useful for cats as most cat owners will allow their cat free access outside. Simply lock the door if you wish the cat or dog to stay inside and unlock it when they are allowed outside. Trixie 4 way locking white plastic cat flap for cats. Give your cat freedom of the outdoors. transparent flap, silent action with special sealing and magnetic lock with safety lock incl. 2 tunnel elements depth 19–65 mm for all types of walls and doors can be extended with tunnel elements total measurements 21 × 21 cm cut out size 16.2 × 17 cm flap size 14.7 × 15.8 cm Brand new and sealed 2 tunnel elements 3 year manufacture warranty Thanks for looking! It has a flap with special seal and a magnetic lock. Free cat flap is weatherproof. It has the following functions: the cat can get in and out, the cat can only get in, the cat can only get out, the cat can neither get in nor get out. Trixie Halsbandmagnet für 4-Wege Freilauftür elektromagnetisch. Trixie 4-Wege Freilauftür elektromagnetisch weiß. Cat Mate Ersatztür für Katzentür elektromagnetisch 254. Cat Mate Katzentür elektromagnetisch 254 W weiß. Trixie SureFlap 4-Wege Freilauftür mit Mikrochip-Erkennung braun. Trixie SureFlap 4-Wege Freilauftür mit Mikrochip-Erkennung weiß. Trixie Traveller Pico Transportbox. Trixie Tränke mit Schraubbefestigung. Trixie 4 way cat flap one-way door with tunnel 21 x 21 cm - grey. 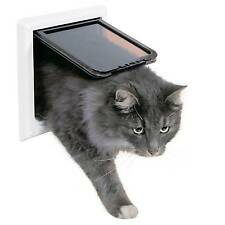 Trixie 4 way cat flap with tunnel 21 x 21 cm - grey. Marke Trixie. transparent flap noise. Mass 21 × 21 cm. Section 16.2 × 17 cm. Folding size 14.7 × 15.8 cm. Trixie SureFlap 4-Wege Freilauftür mit Mikrochip-Erkennung weiß für Katzen. Trixie SureFlap Dual Scan 4-Wege Freilauftür mit Mikrochip-Erkennung weiß. Trixie SureFlap 4-Wege Freilauftür mit Mikrochip-Erkennung weiß. Trixie 4-Wege Freilauftür für Glastüren weiß. Trixie Transport Box Skudo Car. Trixie Traveller Pico Transportbox. Trixie Tränke mit Schraubbefestigung. Trixie Treppe. Trixie Ersatzfilter für Wasserautomat Bubble Stream für Hunde. Trixie 4-Wege Freilauftür weiß. Trixie 4-Wege Freilauftür braun. Trixie 4-Wege Freilauftür grau. Trixie 4-Wege Freilauftür weiß erweiterbar. Trixie Transport Box Skudo Car. Trixie Traveller Pico Transportbox. Trixie 4-Wege Freilauftür mit Tunnel klein braun. Trixie 4-Wege Freilauftür mit Tunnel klein weiß. Trixie 4-Wege Freilauftür mit Tunnel klein grau. Trixie Traveller Pico Transportbox. Trixie Tränke mit Schraubbefestigung. Trixie 2-Wege Freilauftür braun. Trixie 2-Wege Freilauftür grau. Trixie 2-Wege Freilauftür weiß. Trixie Transport Box Skudo Car. Trixie Kleintierhaus, Kunststoff. Trixie Tränke mit Schraubbefestigung. Trixie 4-Wege Freilauftür weiß erweiterbar. Trixie 4-Wege Freilauftür braun. Trixie 4-Wege Freilauftür grau. Trixie 4-Wege Freilauftür weiß. Trixie Traveller Pico Transportbox. Trixie Kleintierhaus, Kunststoff. Trixie 4-Wege Freilauftür elektromagnetisch weiß. Trixie Halsbandmagnet für 4-Wege Freilauftür elektromagnetisch. Trixie Traveller Pico Transportbox. Trixie Tränke mit Schraubbefestigung. Trixie Kleintierhaus, Kunststoff. Trixie Ersatzklappe für 4-Wege Freilauftür mit Tunnel groß weiß. Trixie 4-Wege Freilauftür mit Tunnel groß weiß. Marke Trixie. Beste Beratung vom Fachpersonal. Für Ihre Sicherheit. über 200.000 zufriedene Kunden. Marke Trixie. for Dogs (XS-S). Total mass of 25 × 29 cm. Installation depth 19-32 mm. Trixie SureFlap 4-Wege Freilauftür mit Mikrochip-Erkennung braun. Marke Trixie. Für Ihre Sicherheit. Farbe: braun. 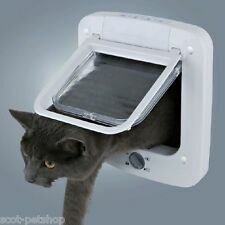 Trixie Manual Cat Flap Extended Tunnel Elements ONLY.